Are you ready to work smarter, not harder on your blog? Guys, here’s the deal: blogging isn’t hard. It’s not digging a ditch, working construction, or even running a daycare. Blogging is rewarding, easy and yes, lucrative—you just need to know one little secret to blogging success that will make your audience take off! 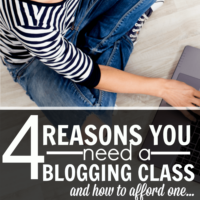 It’s something new bloggers (and even some veteran bloggers) struggle with, but it’s SO easy once you understand. Recently, I had the opportunity to speak on ROI at the Activate EBA Live conference. 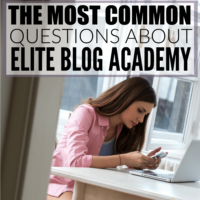 Which was insane to me, because it feels like a very short time ago that I learned how to be a full-time blogger from taking Elite Blog Academy. It was a trippy moment to be able to teach others how to take their blogs to full-time income in the shortest amount of time possible. Nearly every new blogger I met with during my 1:1 sessions was facing the same dilemma… They didn’t know their target audience or how to reach them. As a blogger, knowing and connecting with your audience is vital. If you aren’t sure who your audience is (or worse, if you’re trying to appeal to EVERYONE), you’re going to miss the mark. Connecting with your audience is the number one thing you must do to become a successful blogger. The good news is: it’s not hard. 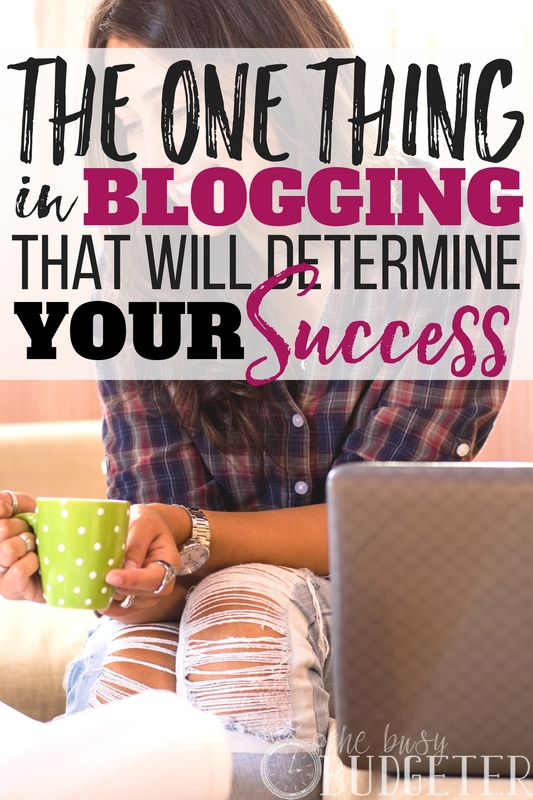 Once you know this one secret to blogging success, it will amaze you how easy it is. I’ll tell you how! That’s all well and good, but it doesn’t really tell you anything about your target audience. Believe me—every mom feels overwhelmed at some point. It pretty much describes EVERY. SINGLE. MOM. You’re going to need to get more specific. Is your target reader a crunchy-granola mom who’s making all her food from scratch? Is your target reader a mom who’s trying to figure out life skills? Is your target audience made up of moms who work full-time and can’t keep up with it all? Is your target audience a stay-at-home mom who homeschools her kids? There are many overwhelmed moms: all the moms. In fact, if you had asked me about MY target audience a few years ago, I probably would have said “overwhelmed moms” as well. But “overwhelmed moms” is a broad and vague description that really doesn’t capture who your reader is. To figure out who your audience is, you need to work on creating what’s called an avatar. Your avatar is a specific person. You’re going to give them a name, a face and a background. Think about WHO your avatar is. What are his or her values? What are his or her fears? What keeps them up at night? What do they struggle with? Who exactly you’re talking to. How to talk to them. And finally, how to tell if you’re doing it right. Figuring out your avatar is an involved process. It’s not something that comes from sitting down and jotting out quick notes. Your avatar is very specific. In fact, there are plenty of topics your avatar isn’t interested in at all. She has likes and dislikes and opinions about all sorts of subjects. Your avatar is going to shape everything you write. If you really want to reach your audience you need to write to them directly. You need to relate to your blog readers with honestly. You need to talk about their problems and figure out ways to solve them. You need to give them the guidance, direction and value they’re seeking when they read your posts. Your avatar isn’t there to purchase items from you, click your links or even create your crafts or recipes. Your avatar reads your blog, because it speaks to her directly and adds value to her life. If you don’t speak to your avatar, she won’t read your blog. Your audience is the people who read your blog…kind of. 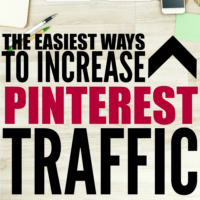 But your blog readers might click over from Pinterest, they might read something on Facebook, click and land on your page or they search for an answer on Google and wind up on one of your posts. While all those people are technically your “audience,” not all of them are actually your true readers. Your true audience, the readers who fit your avatar, who believe in your message, who “get you,” are the ones you want to reach. Those are your people. They will keep coming back to you over and over again. They want to read what you write because it resonates with them. So how do you connect with YOUR audience? Well, that's another secret to blogging success – and there's an answer for THAT, too. You need to build your email list. You need to nurture them, connect with them and speak to them directly. You need to date your list. For the last year, I’ve summarized the way that I handle my email list as “dating my list.” As creepy and weird as that sounds at first, the more you look at the parallels, the less weird it sounds and the more it just fits. In dating, you need to win over your date and let him see that you’re pretty amazing, all while trying to figure out if he’s the right person for you (because if he’s not, you don’t want him)! 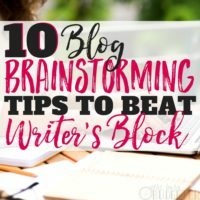 In blogging, you need to win over your reader and let her see that you can help her, all while trying to figure out if she’s your “right reader” (because if she’s not, you don’t want her)! In dating, you have a very small window to impress someone because there are a lot of other options and you need to get his attention quickly. In blogging, you have a small window to impress someone because there are a lot of other bloggers and businesses competing for her attention, and you need to stand out. In dating, you need to let them get to know you first without oversharing. It’s better to highlight your passion for rock climbing and adventure and let him be excited about you before you mention that you talk in your sleep and cry during commercials. I know it sounds funny, but you’re building a relationship with your target audience. As I’ve gotten to know my readers, I can honestly say, I love them. If you want the secret to blogging success, dating your list is vital. So, if you’re ready to start dating your list, get my guide Date Your List, here. I will walk you through the step-by-step process to connect YOU with your reader. How Can I Reach My Audience with My Posts? This is where the list comes in. See, your audience isn’t made up of the people who stumble across your blog accidentally. If you focus on driving traffic and readers to your blog, you’ll constantly chase pageviews. You’ll worry about Pins and Facebook posts. You’ll stay up at night checking your analytics and trying to understand algorithms. Basically, you’ll be working a lot harder than you need to. You’ll attempt to drive your target audience to your blog without knowing if you’re really reaching “your people.” Chasing pageviews is an uphill battle and it’s exhausting! Your list, on the other hand, is targeted. Your list consists of readers who’ve “opted in.” They’re fans! They’re ready for more dates. They want to see you again and again! Building your targeted list is the single most important way you'll grow your blog! I know, building your list sounds a little intimidating. I used to get intimidated by it too. I felt like if I put a blog post out into the universe, the right audience would simply find it. Email seemed aggressive or maybe a little invasive. An email from a friend doesn’t seem invasive, right? In fact, when your friend sends you an email, you’re happy to receive it. You read it and feel great. It’s awesome. If you’ve been dating your list, then you’ve built up an audience who knows you like a friend. They WANT your emails! They want to read what you’re up to and look forward to it. Focusing on your email list is the best way to build your blog. You'll see real, exciting progress if you do this ONE thing. So, if you’re ready to get started, I’ll walk you through the process. It won’t take long to implement but once you do, you’ll know exactly how to connect with your audience. You’ll build your list of loyal readers who look forward to your email and newsletters. 80-85% of our income comes from our email list. When we launch a product or sell an affiliate, 80% of the sales come from our email list and 20% come from posts. Which makes perfect sense, because your email list has had a chance to build up a relationship with you and trusts you. If you’ve dated your list, you’ll know exactly what you need to do. Get my guide Date Your List and get started! It’s time to stop chasing pageviews. It’s time to see your hard work paying off! Do you send a newsletter to your audience? How well do you know your readers? Have you tried Date Your List? Let me know your results and what you love about it! I just came across your blog Rosemarie, and I’m SO thankful I did! I’m slowly plugging along in setting up my website (after the kiddos are all tucked in for the night) with the dream of supplementing my hubby’s income. I am far from techy, but I have a heart for people so I am determined to make this work. Figuring all this stuff out can be completely overwhelming, but I’m looking forward to diving into the info you’ve posted. Thank you! Thanks for this! I always say that I target “busy moms” and I guess that’s all of us too! My blog is specifically for frugal living, but maybe that isn’t niched down enough. Thanks for giving me something to think about! Your session on ROI was great! I really need to be more strategic with tasks and time so it gave me a lot to consider. DYL has stuck with me since the episode on Side Hustle Nation- very helpful to think about it in that context. Thanks Rosemarie! What an awesome idea to increase my email list! I heard this from EBA and I’m really happy to know that this really works! Thank you so much for the webinar last night! It was great! We just started our blog a month ago and need to build up some good content for a while. Spot on! Something I’ve been really focused on since starting my site in 2018 was the focus on the reader. Who is my target audience? What are they interested in? How are they digesting my content? More people who have a blog or looking to start one and grow it, need to read this.